I'm love me some Love Stitched!!!! I am totally hooked on it. Her products are darling and her prices are FANTASTIC! I am proud to call lots of her pretties mine. Love Stitched is giving away a $10 shop credit to one lucky winner! Leave a comment telling me which item from Love Stitched you must have. FPG Google Friends Connect public followers. This GIVEAWAY will end on Wednesday, June 15th at midnight PST. 1 lucky reader will be selected using Random.org and will have 72 hours to claim the prize or a new winner will be chosen. The winner's name will be posted in a blog post announcement. You must respond either in a comment or via email. I really like the blue and white polka dot ring! I love the rose rings. They are super unique and cute. Mustard yellow please?! I'd love to have the pink Dahlia cabochon flower earrings and the black chrysanthemum flower necklace. I love them both! My favorite in her shop is the peach chrysanthemum flower necklace!! I follow Love Stitched blog! I have the celebration button on my blog! I love the cute spring headband! LOVE the stella petite rosette rings. Cute. I love the Stella petite Rosette Statement Rings. I follow Love Stitched's blog. I love the Dahlia earrings and the mums. The yellow fabric rings are fab too! Another awesome giveaway!!! I really like the Rasberry chrysanthemum flower necklace with chain. It would look perfect with my summer tan :) Thanks! I love the Petite Kate headbands and the Little Lou hairpins. It's all so cute! I really like the Flora Bella Necklace! i have your celebration button on my blog. Love the chrysanthemum flower necklace. I need every color! I am a fan of Love Stitched on FB. Sierra Mustard Yellow Headband is my favorite! Oh I love it... adore it.. want it! I love the Courtney earrings! I already follow her FB page! So I love the chrysanthemum flower necklaces but can't decide on the color - aqua, mint, raspberry ?!? I love the cobochon flower earrings and the chrusanthemun flower necklaces, especially the purple flower. I follow the Love Stiched Blog. I LOVE LOVE LOVE the fabric rings!!! So cute!!! 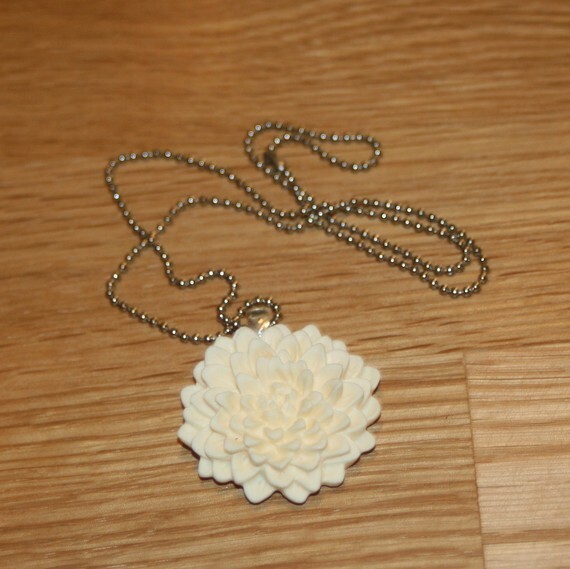 I LOVE the mint chrysanthemum flower pendant and would LOVE to add it to my collection! I love the Aqua chrysanthemum flower necklace with chain. So pretty. Happy 1000th! I like the Darla - Blue floral and gray Elastic stretch Rosette headband / hair piece. Thanks so much for the chance. I am a follower of Love Stiched. Thanks for the chance. I must have the statement ring. So fun! I like Love Stitched on Facebook! I posted about your giveaways on Facebook! I have your regular button on my blog too! I love the Sierra - Mustard yellow and cream anthropologie inspired Rosette headband/hair piece. I shared and tagged you on Facebook. The Courtney earrings are killing me with cuteness! I must have the JUNE - Simple petite Sping inspired Rosette headband / hair piece. So pretty! So hard to pick one--I have to go with the breakfast at Tiffany's necklace. I love the teal dahlia cabochon earrings. I must have the "Rose Cabochon necklace charm in pink". BEAUTIFUL!! I follow the Love Stitched blog!! I "like" her FB page!! I like that Raspberry mum flower necklace. I like her on FB. My favorite is the Flora Bella necklace... Beautiful pieces! I'm a follower of LS! I like ls on FB. I love the Elise Necklace! Love the Little Lou in Gray! It'd go in my hair and match everything I have in my closet! Already a fan of the fabulous Love Stitched on Facebook!! Already a blog follower of Love Stitched! I love the Stella petite rosette statement ring. I liked love stitched on FB. LOVE the mint chrysanthemum flower necklace! So pretty! New follower of Love Stitched's blog!